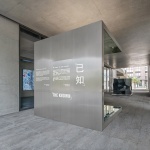 非常感谢来自 Crossboundaries 对gooood的分享。更多关于他们： Crossboundaries on gooood. 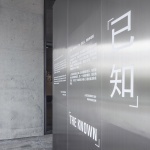 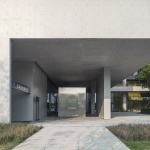 CROSSBOUNDARIES attends the exhibition of Pingshan District Art Museum in Shenzhen with an installation artwork THE KNOWN, a response to the exhibition’s theme – UNKNOWN CITY. 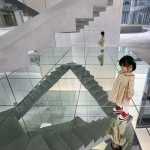 Today’s urban physical space is increasingly becoming a product of modularization of various materials. 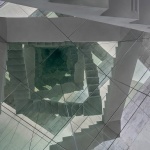 It is an eternal issue of how human beings deal with the relationship between themselves and the manufactured environment, that they place their spiritual needs within. 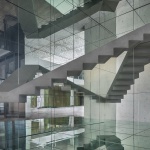 The work highly abstracts and refines urban materials – concrete, steel and glass – to form a cycled mirroring image. 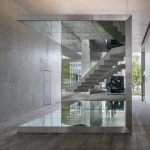 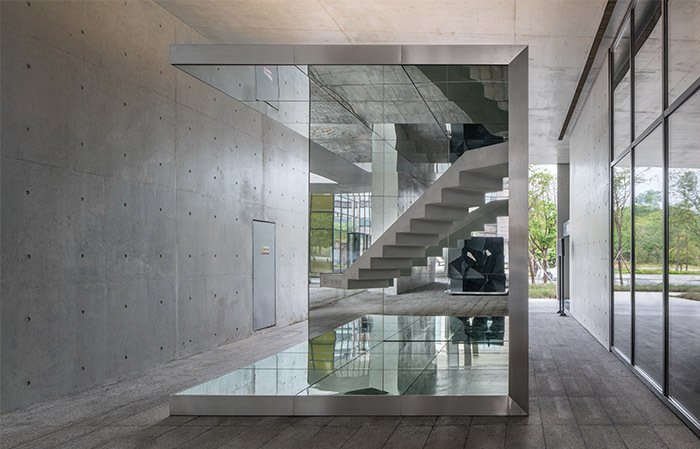 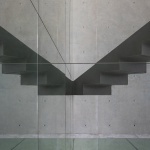 In a semi-open room enclosed by four mirror plains, a concrete stair is hung upside down, a prefabricated element produced in a factory, symbolizing modern industrial achievements like prefabricated construction that can accelerate the constructions on buildings and the growth of our cities. 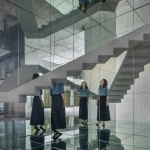 Stepping into this installation, viewers are surrounded by an infinite space created by the recursive effect. 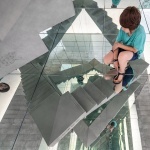 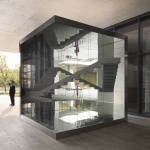 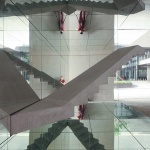 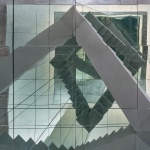 More puzzling, the stair joins its images in the mirrors creating an illusion of a closed path, reminding viewers of the famous work “Relativity” by Maurits Cornelis Escher. 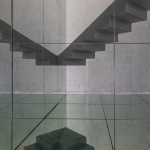 One can easily get confused to determine if it is going up or down. 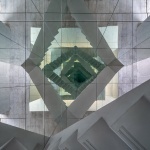 Within the space of visual dislocations, viewers can experience the transformation of and separation between reality and illusion, objective and subjective or individuals and groups. 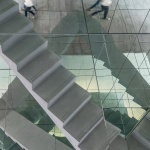 Cities always offer unpredictable temptations and confusions to individuals, even though all the physical parts of them are known facts to us. 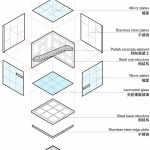 More: Crossboundaries 更多关于他们： Crossboundaries on gooood.